“Oche SEMOLINA” commonly called Oche flour is the only of its kind in the country with a semolina output from the commonest plants you find everywhere established to yield first grade flour. 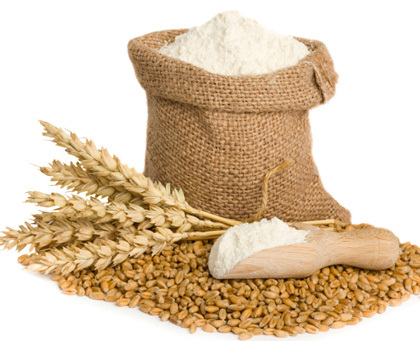 All companies in the country in the food processing business one way or another to improve quality either they use imported wheat with flour mill or use local hard wheat yet using the same flour mill. What make Ahfa Golfeto mill different is not its capacity but its flow sheet and design: is designed to be A SEMOLINA MILL. The flow-sheet begins with a level zero damping pit with a pre-screening mesh to hold back farm impurities like shoes, cloak, straw, dead insects etc. Damped wheat gets lifted up by a vertical elevator either for next storage or direct to cleaning section silo. What is in the silos will stay for future use. After entering the pre-cleaning silo of 20 qtl capacity on the second floor followed by separator, screenings collector, battery or trier-cylinder, scourer or debranning, dampening, grinding and then storage.